The Galaxy S9 should sport the same shape screen as the Galaxy S8, according to The Bell,which also claims that the firm has already placed an order for the 5.8-inch and 6.2-inch Infinity Display panels for the Galaxy S9 and Galaxy S9+, respectively. Looking to the future, Samsung is also believed to have commissioned its screen-making division, Samsung Display, to start manufacturing the 6.3-inch Infinity Display that’s set to be on board the upcoming Galaxy Note 8 for the Galaxy Note 9. In addition, the report notes that Samsung is working tirelessly to find a way to feature the on-screen fingerprint recognition technology that was scrapped from the Galaxy S8 at the last minute on the Galaxy S9 and Galaxy Note 9. If a recent hands-on image is anything to go by, the company should have the optical scanner ready in time as the only technical hurdle it needs to overcome is matching the brightness of the area containing the sensor to the rest of the screen. It’s a little too early to speculate about both the Galaxy S9 and Galaxy Note 9, though we expect them to feature a Snapdragon 845 processor, at least 6GB of RAM and a dual-camera. They should also ship running Android O. 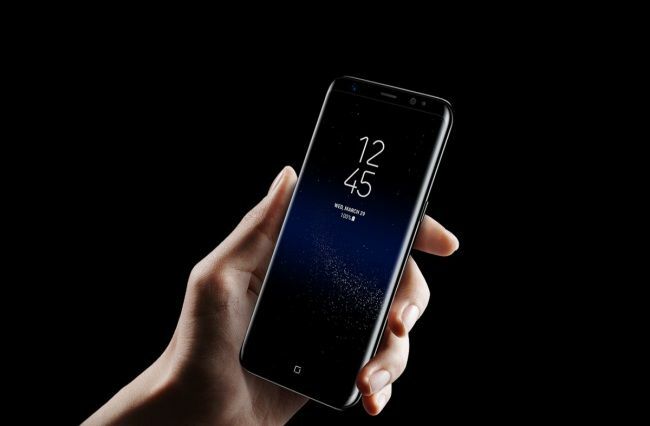 [THE IVESTOR] Samsung Electronics‘ upcoming flagship smartphone Galaxy S9 is expected to use the same size and shape of the display screen as S8, The Bell reported on July 18. Citing unnamed industry sources, the report said Samsung has recently informed Samsung Display, its display-making unit, of the S9’s display specifications. The S9 will have a 5.77-inch display screen, while the bigger S9 Plus will come with a 6.22-inch screen. The same size as the S8 lineup launched in April. The so-called “infinite” shape is also expected to curb the right and left sides with no home button. The report said Samsung is likely to attempt again to feature on-screen fingerprint scanning that is missing from the S8 due to technical immaturity. In the meantime, Samsung has also tentatively decided to use the same 6.32-inch display screen for the Galaxy Note 9 as the upcoming Note 8 that is expected to be unveiled on Aug. 23 in New York. The report said Samsung is playing it safe with its flagship phones next year rather than taking too many risks.